There is more than pumpkin spice in the crisp morning air this fall in Gloucester! With so many family friendly fall events from which to choose, you are sure to be entertained! Haley Real Estate is the proud sponsor of the first Wine Garden at the 9th Annual Gloucester Main Street Blues and Brews event Saturday, October 20th. Presented by Split Enz Salon, the event will be held from 11 a.m. to 5 p.m. on the lawn of Split Enz Salon, (Tabb House) at 6596 Main Street, in Gloucester. 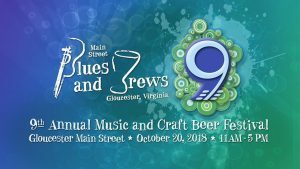 Come out to enjoy 20 different handcrafted microbrews, (including hard cider and gluten free options) food trucks, vendors, and LIVE music from Stuck On A Name, Tom Euler Band, (“Male Artist of The Year” Jazz/Blues/Soul), and Paul Urban and Friends. Those partaking in alcoholic beverages will be required to present photo identification at the gate. Please drink responsibly. All non-drinkers are admitted for free to enjoy the music and vendors. The first 250 tickets are on an early bird special price of $20! After that, tickets are $25 until October 7th but don’t delay because on October 8th, the ticket price will be $30 up until the event. Your ticket includes a souvenir beer glass, sponsored by Rappahannock Concrete, six craft brew taste tickets, and all-day access to the music lineup. Additional beer tastings will be available for purchase. You can buy tickets online, call 804-695-0700, or visit mainstreetbluesandbrews.com for more information. 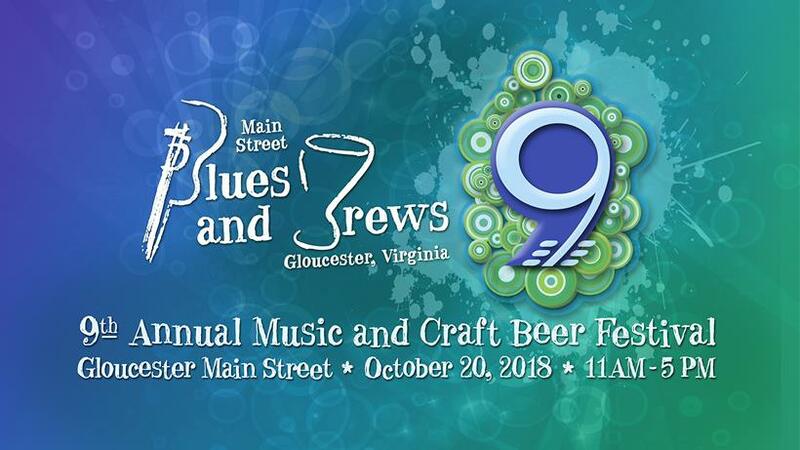 Gloucester Main Street Blues and Brews will be held rain or shine. Enjoy the best food and beverages Gloucester has to offer at A Taste of Gloucester! This event will be held Sunday, October 14th from 1p.m. 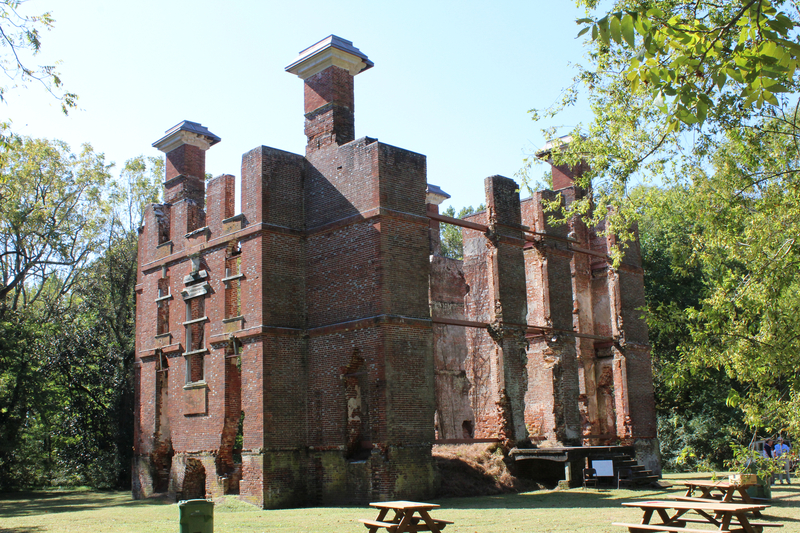 to 4 p.m. at the Rosewell Ruins in Gloucester. 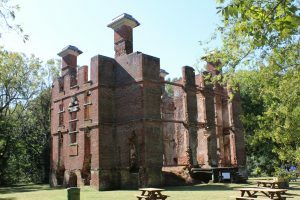 Visit www.rosewell.org or call 804-693-2585 for additional details or to purchase tickets.